I am very thankful I’ve worked someplace other than Pixar. It really makes me appreciate how good our working conditions are. Take today for example. 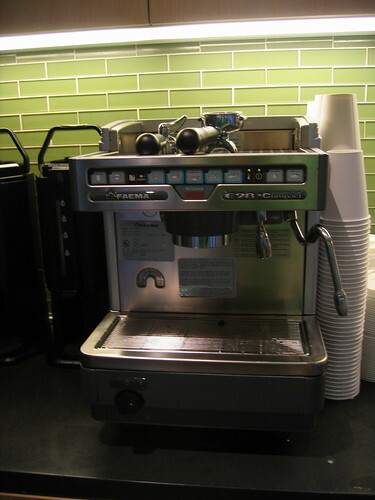 Today this fine espresso machine was installed in our building. I will use it I’m sure to brew up some fine liquid concoctions. 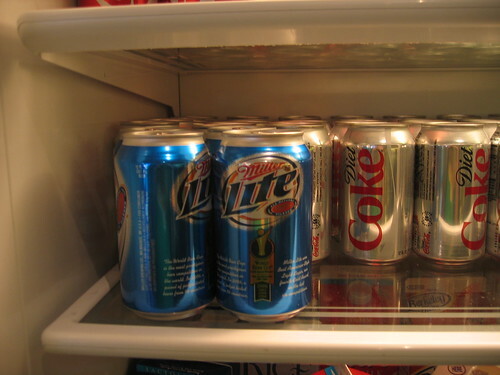 Also today I was thrown for a bit of a loop when I opened up the fridge to grab a soda ((Yes, I am bad and drinking sodas right now.)) and what should be there. Nectar of the divine rendered human. That’s probably just someone trying to get rid of it. They normally only have beer at work on Friday at Beer Bash in the evening. Copyright © 2003-2016 - Dan Bostonweeks — Made in Oakland, California.